Nairobi, it's time to say 'adios' to you, with a dolorous heart and rainy eyes. Though the exhilaration of going back to desh is profound, yet the agony of not seeing you again is sore. These three months have been a potpourri filled with varied emotions, smiles, and tears. The lush green foliage, twinkly flowers, blossoming buds, and pearl rain showers, these all will always rest in my memory, never to be forgotten. This place gave me ample time to play with my culinary skills with creativity imbibed. From baking breads to muffins, I almost found all baking artillery here which I could hardly find in India. Today, when this is my last post from this land, I want to make sure that I pay due regard to it and leave behind memories full of sweetness and charm. It's not just that I have to finish the gram flour and ghee before I leave, but I actually wanted to make these 'Laddoos' on a special day, so chose to do so just a day before the final day. Sugary, simple, yet comforting, this is an Indian Sweet that I and my hubby love a lot, joined in by our little princess who also has a sweet tooth. Take a heavy bottomed pan/kadai and melt ghee in it. Add in the gram flour and cook on low flame for around 10 minutes, stirring continuously, till the flour turns golden brown. You will be able to breathe a nice aroma by now. Initially when you add the ghee, the mixture will not appear very greasy and runny (unlike for 'halwa' where we keep it very greasy and flowing). Slowly as the flour gets cooked, it starts leaving ghee and towards the end you'll find the mixture greasy and smooth. On the other hand, powder the sugar in a grinder with cardamom added to it. Now add this sugar cardamom mix to the cooked flour and mix well with hands. Divide into 10 equal portions and make round laddoos. 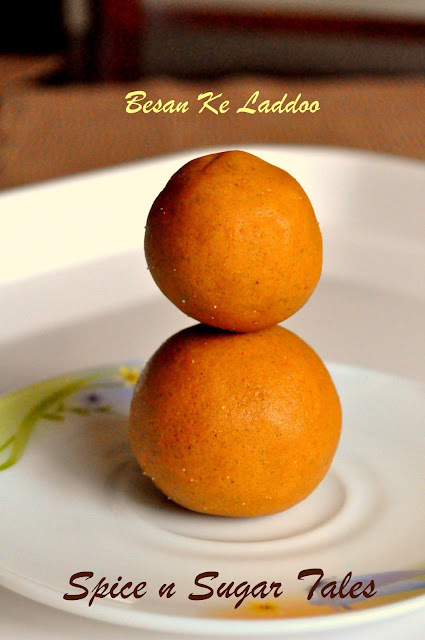 I have learnt a special technique of making laddoos from my grand-mom where you make a ball with both the hands, and then roll it in your right palm, letting it move to and fro, so as to get that shiny, smooth texture. If you wish, you could add some slivered/finely chopped dry fruits to the flour mix before forming balls. 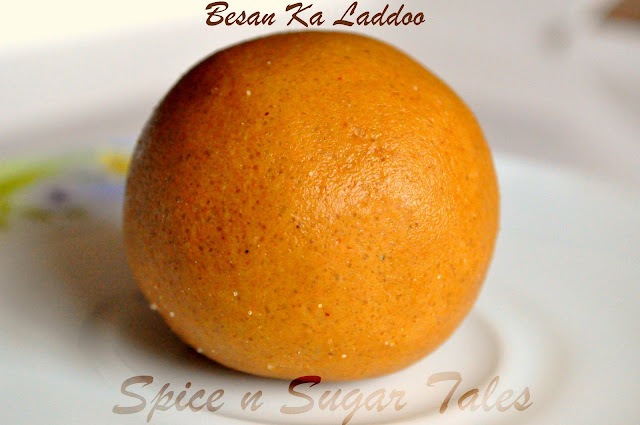 If the ghee is more in laddoos, and the temperature is too warm outside, they will flatten when you make balls. In such a case, let them cool down/refrigerate for 5 minutes and then reform immediately, giving the perfect round shape. In place of sooji, some people even use maida/all purpose flour. Adding dry fruits is always an open option, though I generally prefer them plain. Decrease or increase sweetness as per your taste. Awesome color n tempting ones!! Hey Anjali, gorgeous luking laddoo.....yum yum..
Good news that you are coming back and I know where are u heading first..
Lovely laddoos, very well made. 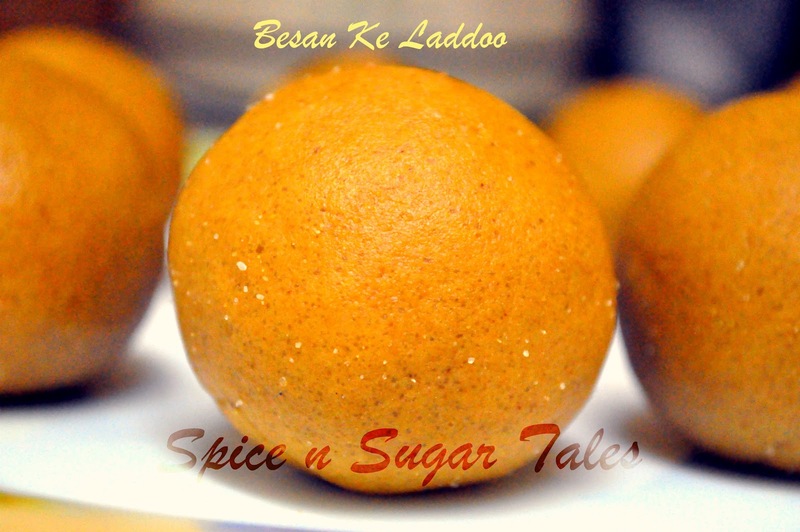 Awesome ladoos, so perfectly done..
Look absolutely divine...can't believe they are so smooth! Very tempting Anjali. Your post made me nostalgic for two reasons. First, I too have spend time in the African continent and I was amazed by the beautiful weather and the flora and fauna. It was hard to leave such a beautiful place! But home is definitely the best ;-) Second, your post revived the memories of hostel days when Mum used to pack these ladoos for snack time. Your ladoos look perfect and the close-up shot is very tempting. 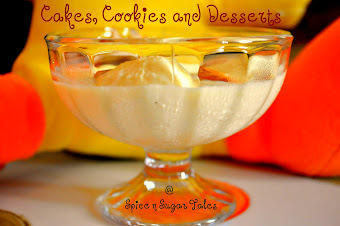 hi anjali, just to say thank you for your sweet comments on my post “sago dessert” at sobha’s last week. My mouth has been watering, delicious & tempting ladsoos! Lovely pics! 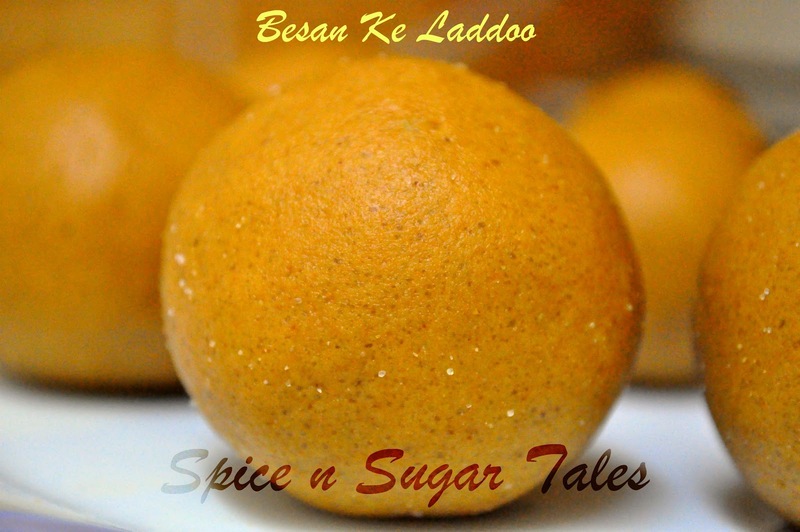 Perfectly done besan laddoo..tempting and super delicious..